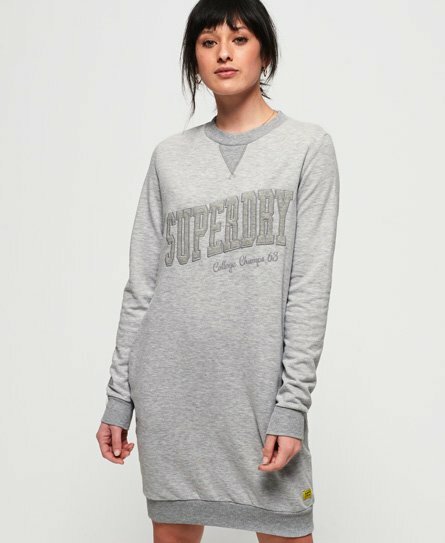 Superdry women's Tonal sweat dress. Stay comfortable and stylish this season with the Tonal sweat dress, featuring a ribbed collar, cuffs and hem, logo graphic across the chest and small logo badge above the hem. This dress is completed with subtle logo graphics above one cuff and pockets in the side seams. Crafted from a lightweight, super soft fabric, this dress will look great styled with trainers and a denim jacket.